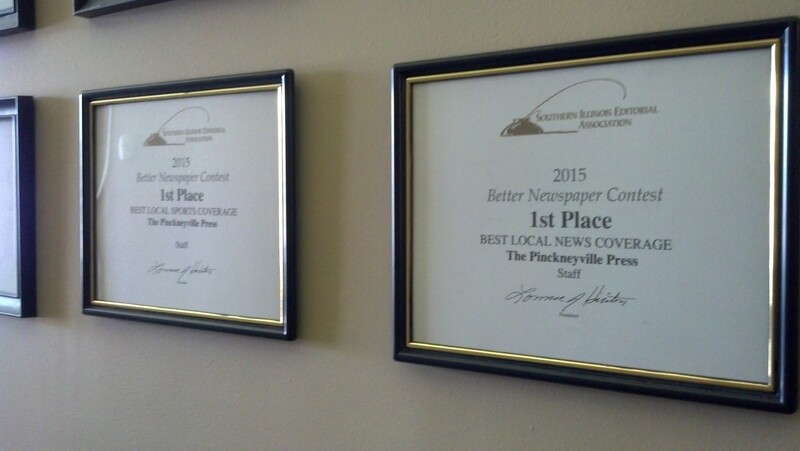 The Pinckneyville Press is an award-winning weekly publication that has served the Perry County community since 2009. We are dedicated to informing the Perry County community about events, occurrences and trends in the area. The Press is the best local source for your community news. …And more than 40 others in the last five years.